The International Institute For Global Leadership is governed by a Board of Directors; led by a team of Executive Officers. The Board of Directors is the legal entity responsible and serves as the IIGL Leadership team. We are committed to the democratic involvement of all participants as the Institute continues to grow and evolve – with the goal that we can more effectively serve our students and the transformation of the planet. Ethelbert served as IIGL Vice President during the 2017-2018 term and is a graduate. 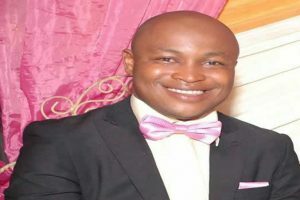 Ethelbert is a recognized Executive trainer, Keynote speaker, attitudinal coach, inspiration blogger, Public relations media practitioner and ghostwriter (he write Speeches, blogs, website content writing, Press releases, Newsletters, Books, Biographies, Autobiographies etc for individuals, private and corporate organizations). His admirers classify him as a man of many parts. Through speaking engagements alone, Ethelbert has reached tens of thousands of people. Ethelbert is a prolific author with 4 amazing books to his credit- all currently available in Amazon (1) How to Find, Attract and Keep your Beloved (https://www.amazon.com/Find-Attract-Keep-Your-Beloved-ebook/dp/B00KRPYX6K) (2) The Audacity of Giving (https://www.amazon.ca/Audacity-Giving-Unveiling-power-prosperity-ebook/dp/B00KRPWV46) , (3) How to Cope When a Beloved Suddenly dies (https://www.amazon.com/Cope-When-Beloved-Suddenly-Dies-ebook/dp/B00KRVIJ32), and (4) Creating your Path through Leadership (co-author) plus over 200 life transforming articles published on his inspiration blog: www.emotionalzone.com. Graduate of ‘Global Leadership & Human Capital Development’ from IIGL, USA. Certificates in ‘Leadership and Management, Concise Digital Journalism’ and ‘Human Resources Management’ from BAU Executive Education, Nigeria. Certificates in ‘Human Rights & Freedom’, ‘Fundraising Concepts’, and ‘Strategies for Personal Development’ from Young African Leaders initiative network. Certificate in ‘International and African legal framework on Freedom of Expression, Access to information and Safety Journalists’ from University of Pretoria, South Africa. Certified Business advisor from Institute of Business Advisers of Nigeria to name but a few. He is the Team Leader, Blueprint Consulting, a leadership and management consulting organization with specialties in Human Capital Development, Business Development, Recruitment & Training, and Ghostwriting services. He is the President, Rotary Club of Owerri Metropolitan; district 9142 Nigeria 2018-2019. Ethelbert believes in John Maxwell’s philosophy ‘everything rises and falls on Leadership’. This has motivated him to continue to inspire individuals/ organizations reach their exponential personal and organizational goals. He has communicated this proven leadership principles to many individuals/organizations, and achieved exceptional results over the years. He is super excited to serve IIGL in warm partnership with other progressive Board of Directors around the world in actualizing the vision of IIGL for God and humanity. “Give and it will be given to you.” Today, it is the other way as it has been given to me therefore; I have to give back to this clarion call. IIGL has helped in shaping my practice of mindfulness to learn humility and faith in spiritual principles, to release the past, forget the uncertain future, bringing the mind to the body and appreciate the present. I hold a B.Sc in Sociology and the versatility has made me adventurous in learning, advance in thinking and finding answers to the many questions life poses. I enjoy speaking foreign languages, volunteering in social events and my concern for humanity is their well-being and freedom. Aishatu Ibrahim has a Diploma in Social Entrepreneurship and Leadership Studies from the International Institute for Global Leadership (IIGL), Asheville, NC USA. She has a B.Sc. 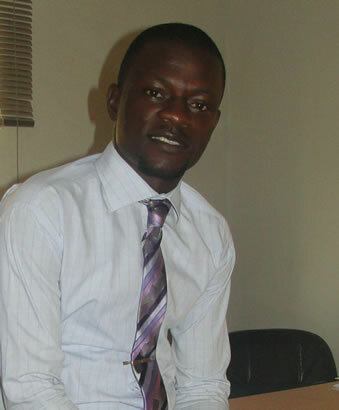 Graduate of Computer Science from Bingham University Karu, and a Master of Science Graduate in Computer and Information Technology (CIT) from the National Open University of Nigeria (NOUN). 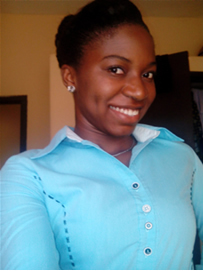 Aishatu Ibrahim is the MD/CEO of Naisha Smart Technologies www.nst.com.ng and also the Founder of Naisha Foundation. She is a Project Management Instructor with the NAOWA Institute of Management and Technology Abuja (NIMTA) and Institute for Disaster Management and Safety Science (IDMSS). She is the Abuja Coordinator for the International Centre for Leadership Development (ICLDNG). She is also an Advisory Board Member of New Era Educational and Charitable Support Foundation. Aishatu Ibrahim belongs to the following Professional ICT Bodies: Member, Nigerian Computer Society (NCS), Member, Nigerian Women in Information Technology (NIWIIT), Member, Academia in Information Technology (AIT), Member, Internet Society, Member, Project Management Institute (PMI), Member, International Network for Education in Emergencies (INEE). Aishatu Ibrahim has the following Professional Certifications: Project Management Professional (PMP), Oracle Certified Professional (OCP), CompTIA Project+ (P+), Oracle Certified Associate (OCA), and Structure Query Language (SQL). Aishatu Ibrahim loves to explore and embrace new challenges in life. She is an Educator, Motivator, Public Speaker, and Social Agent for positive change. She is a youth ambassador for Peace and an advocate for women, children and human rights issues in Nigeria. 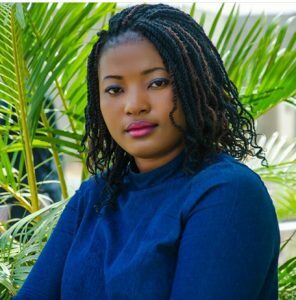 She has made paper presentations at several International and National Conferences on Education, Information and Communication Technologies (ICT), Interfaith Dialogue and Peace building, Women and Girls Empowerment, MDGs and Women in IT. • Outstanding Volunteer Award, 2017 on Drug and Substance Abuse Prevention. My lifelong desire has been to help people live their full potential, assisting individual and community build resilience within their situation and thrive to become the best version of themselves. This has been a driving force towards building my career. My goal in life is to impact the lives of those I meet to be able to become the best version of themselves and live an authentic life. I do this through, speaking, coaching, mentorship, training and writing. I am a Level Seven IIGL student and served on the Board of Directors for the 2017-2018 term. I have worked with different non-governmental organizations within Kenya and South Sudan, and constantly volunteered my time and skill in different youth led initiatives. I have facilitated various youth and women network formation and been part on spearheading some of community based organization and initiatives within Kenya and South Sudan. Working at various capacity within different organizations I have been able to take lead in designing and implementing various projects focusing on peace building, Natural resource management, Community security, Transitional Justice and among others. Also I have been involved in various research projects such as social exclusion analysis research, access to off camp IDPS, justice system analysis among others. This gave me an opportunity to be able to interact within the people, learn from the community and be at per with the happening. 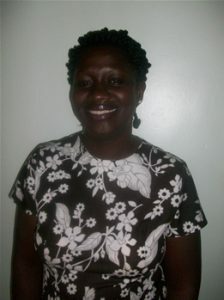 Currently I am a core team member of the Transitional Justice Working Group, A mentor in the Leadership Crucible of the Catholic University, Board member of Dandora Art Centre and Jafa food, Advisor to Audet Somniare (dare to Dream), Board Chair of Women against Poverty Association (WAPA) and a member of Youth for Peaceful Coexistence in South Sudan, and a Chair of Fanaka Women Association (FAWA), a board member of Eastern and Southern Africa Pastoralist Network. I do have a degree in Leadership sales and entrepreneurship and a certificate in Information Technology. I have been involved in various training. Such as human right defenders training, Documentation, Psychosocial support, petroleum laws among others. I am a certified coach and mentor. As part of my professional experiences I have worked as a peer supporter, and motivational speaking. My background includes having taught Spanish in the New York City high school system, having coordinated micro-credit projects based on the credit – model of the Grameen Bank in Bangladesh and having served as the USA Servas Alternative Representative to the United Nations. My volunteer activities have included working with the International office of Habitat for Humanity, Amnesty Intern Lational and Lucius Trust. I have traveled and worked worldwide and have a keen interest in the cultures of the world. 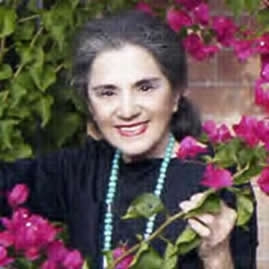 I am also a student of ancient wisdom teachings, astrology, meditation and spiritual development. I am a graduate of Business Administration and Management. A Leadership, Business, People development and Digital marketing Coach and Strategist. A graduate and certified leader from the African Centre for Leadership, Strategy and Development in Abuja. Citizenship and Leadership Training Centre, Aluu in Rivers State. A certified Digital Skill and Online Marketing Fundamental from Google Enterprise Institute. Hewlett Packard (HP) Enterprise certificates in Strategic Planning, Online Selling, Effective Leadership, Price Setting, and Data Presentation. A member of Young Africa Leaders Initiative (YALI Network) with certificates in Strategies for Personal Growth and Development, Management Strategies for People and Resources, Strengthening Public Sector Service. A Certified Netrepreneur from Success Attitude Development Centre, Lagos. I am a member of the prestigious International Institute for Global Leadership (IIGL) and presently under going my Professional certifications in Strategy and Management. Japheth Erenven Aizebeoje is a passionate trainer, reader, thinker, speaker, teacher, motivator and inspire insights generator. A lover of knowledge with special flair for wisdom, strategy, business, real estate, investment, leadership and passionately committed in developing people and society. The International Institute for Global Leadership (IIGL) is one of the best things that has happened in my life. The lessons that I learned as a student and board member have shaped my life and made me a better leader and achiever. I am a Nurse working in a rural area and improving health care in our community. I am pleased to be on the IIGL Board of Directors and I am a recent graduate. I also served as the Recording Secretary for 3 terms. I graduated from the University of Nigeria Nsukka as a Nurse. In addition, I served as an IIGL Board Member in 2014-2015. IIGL as a body has contributed immensely to my life. One of the greatest lessons that I learned from IIGL books is that creating a better world starts from developing ourselves. I now enjoy much peace and tranquility and I live everyday learning and helping others develop themselves too. I believe that all the challenges facing the world today can be resolved if everyone begins to live consciously and decide to change themselves. happily married to Philomina and we have are blessed with a daughter Deborah. An author of one book; The Power Within and currently working on other writes up like the Ministry of Praise and Worship; In the Days of my Loneliness; and Sacrifice for the Kingdom. I love writing books and playing music; having composed about 7 songs used in fellowship and meetings. I believe in Life, in God and in Myself and I believe that there is no limit to growth and to learning. I know that there is always a way out of any situation and that I can if I think I can. I am married to Veneranda Mukamuganga with five children and two grandchildren. I live in a small town named Muhanga in the Centre of Rwanda. I exercise a liberal profession as an advocate, representing and assisting people in courts and other needed domains. 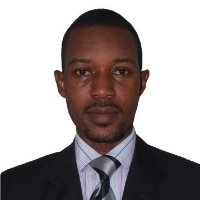 I am also a part-time lecturer in the Catholic Institute of Kabgayi, a local university where I lecture the following courses: introduction to law, human rights law, civil society and democracy and juridical aspects of land tenure in Rwanda. 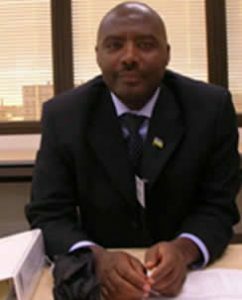 I graduated from the National University of Rwanda in 1999 and got my bachelor degree (LLB) in Law. The Master’s degree (LLM) in Public International Law was obtained recently (December 2014) from a private university, Kigali Independent University ULK. The thesis completing my Master’s studies is titled “The applicability of the Privilege of Immunity in the Prosecution of International Crimes committed by African States Officials.” I am a Level Five IIGL Student and served on the Board during the 2017-2018 Term. 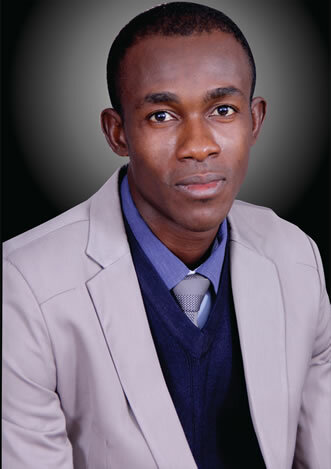 I, Kabera Charles (LLM) am a graduate of IIGL in Social Entrepreneurship, Conflict management and leadership studies. I also earned of a Bachelor’s Degree in Law and a Masters Degree (LLM) in International Economic and Business Law. I testify that IIGL has totally transformed me and that reshaped myself for success. 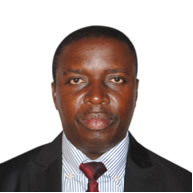 I served as IIGL Treasurer for three terms and I am now Head of Enforcement Division in Rwanda Revenue Authority. I became an IIGL graduate in 2017 and I am very grateful for being a part of IIGL. I also served as a Board Member during the 2017-2018 Term. One of my greatest passions is in reading books. I developed a reading culture from my childhood with the encouragement of my father who brought newspapers everyday and asked me to read. This passion has since grown and is the reason why I have been drawn to International Institute for Global Leadership. I love to read and teach on subjects which add value and transform lives. Subjects such as Goal setting, Positive Mental Attitude, Financial Literacy, Life Purpose, Leadership and Health. These books have personally helped me to live a meaningful life and be able to set a vision for my life. I have strong leadership abilities which come out naturally. In school I was always in leadership positions such as class captain, prefect and held the position of Student President for two years in Bible College. I also have good organization abilities. It is easy for me to organize and put together functions and events. My vision statement is tied in with my life purpose which is “to transform lives and communities through knowledge and skills.” I am very passionate about knowledge and it grieves me to see people in my country especially in the northern region where I come from ignorant. These are young energetic, talented and bright people who because of war and instability are lugging behind in education, knowledge and skills. My aim and intention is to bring meaning to these lives and communities by imparting knowledge and skills. This I intend to do by partnering with schools in the area. Run classes with them. Also, it is my intention to build a library fully stocked with books, computers and internet connection. I envision a world where every child and adult is equipped with knowledge and skills so they can better and transform their communities. My life work is to help restore Harmony – within the individual, within relationships, and within systems. I do this through facilitation, mediation, coaching, training, and the practice of alternative healing arts. 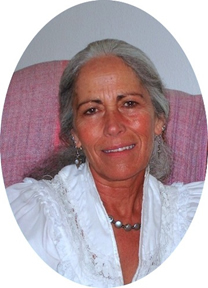 I am the founder of Bridges of Peace in Albuquerque, NM. I have been a trainer in communication and leadership skills for over 25 years, working with institutions and in the private sector, and have provided facilitation and mediation services for a wide variety of organizations and state agencies, specializing in meeting the unique needs of non-profit organizations. In addition to my work in the US, I have had the privilege of teaching workshops in St. Petersburg, Russia and Lagos, Nigeria. Living my belief that we each are created to be of service to others, I volunteer for a variety of community service organizations around the USA. My work is focused on bringing seemingly discordant voices together in collaborations that produce wisdom, growth and harmony, and result in the greatest number of needs being met for the greatest number of people. Mr. Iziomoh is the Executive Director of the International Centre for Leadership Development Nigeria, he is a Certified Brian Mayne Goal Mapping facilitator. 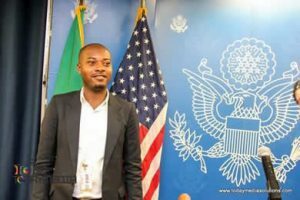 A graduate in Human Kinetics from the University of Lagos and, also, in Social Entrepreneurship and Leadership Development from the prestigious IIGL, U.S.A, where he received an award for exemplary work and achievement. He has authored two books on leadership (available from Amazon): African Leadership 101: 7 Secrets for the African Rennaiscance and The Way Forward: 5 Effective Steps to Achieving Your Life Goals. He holds a certificate in the Social; a Certificate in Leadership Studies from Kanthari International Institute for Social Entrepreneurship, Kerala, India; and a certificate in Citizenship and Leadership Training from the Sea School in Lagos, Nigeria. Between, 2009 – 2012 he served as a Board member and in 2012 – 2014 as the Vice President of the International Institute for Global Leadership, U.S.A. Felix was the IIGL President from 2014-2018. Felix sees the International Centre for Leadership Development Nigeria as the means for sharing his expertise with the youth who will become future leaders, thereby transforming society into a heart-centered and mutually caring entity.